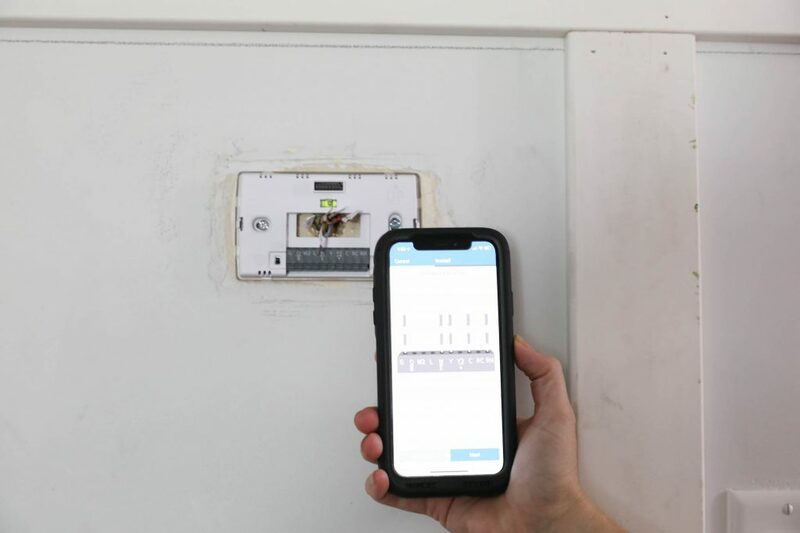 This year we are converting our homes to be smart homes and it has made our lives so much easier! 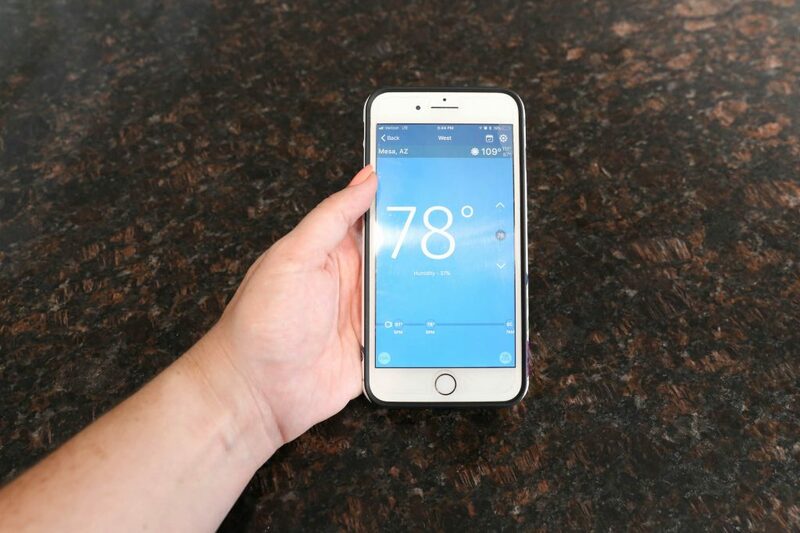 I recently add a smart thermostat and I am loving it. We have been partnering up with the Home Depot this year to convert our homes into more of a smart home. If you missed Mallory’s backyard post that was one of the first things she did and I have the exact same locks. Then Mallory also installed her new light bulb and garage door opener which you can details all about that HERE. I just recently just added in these new Emerson Sensi Thermostat. But before I get into all the details of the thermostat I first have to reveal the space where my thermostat is. And that is my breakfast nook right off the kitchen. 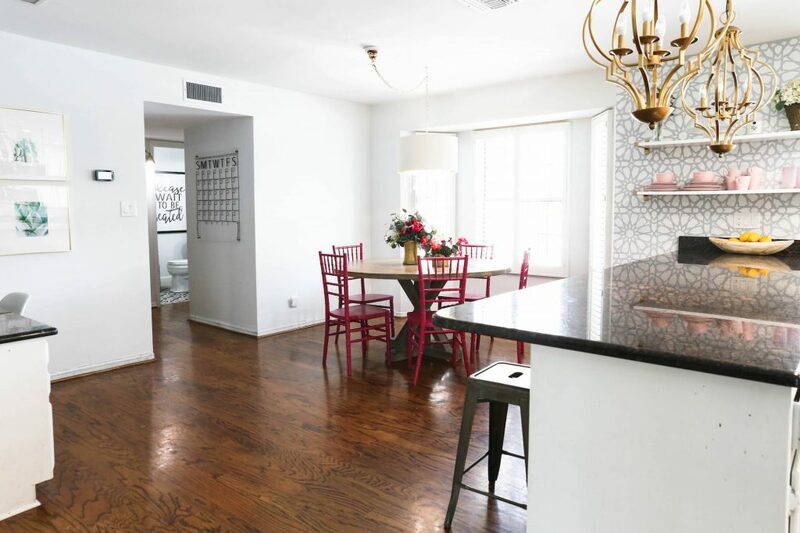 The breakfast nook is a space that needed to be brought back to life. I wanted to have a pop of color and for it to be a fun space. 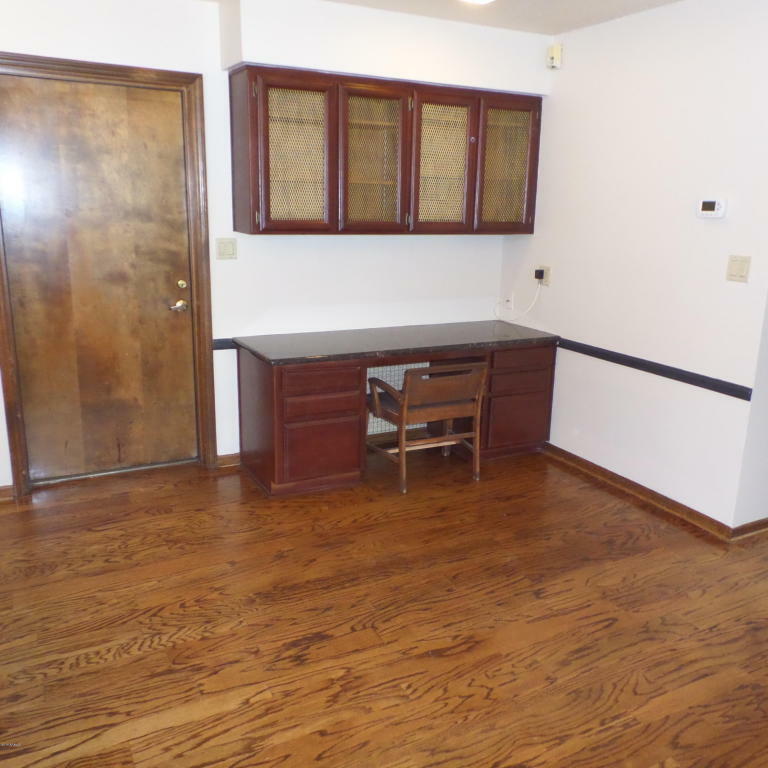 When we moved into our house the cabinets were a painted cherry wood color cabinet. 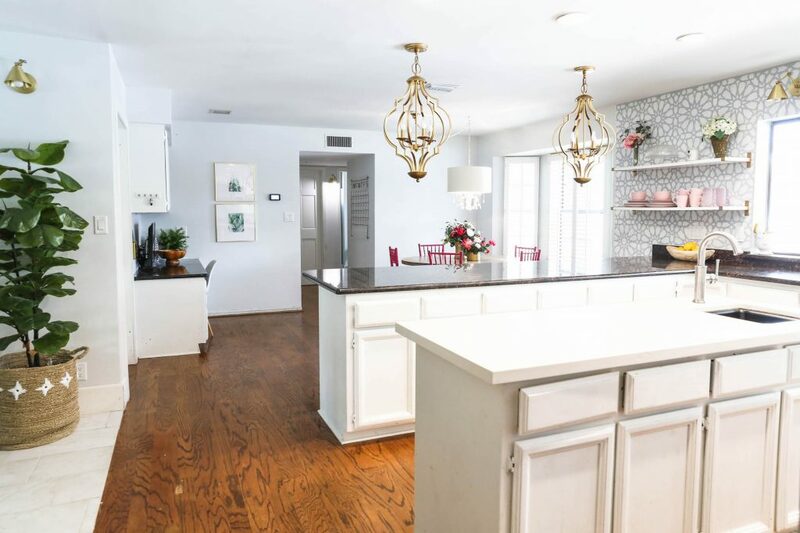 The very first thing we did was we painted the cabinets white. Which made a BIG difference. 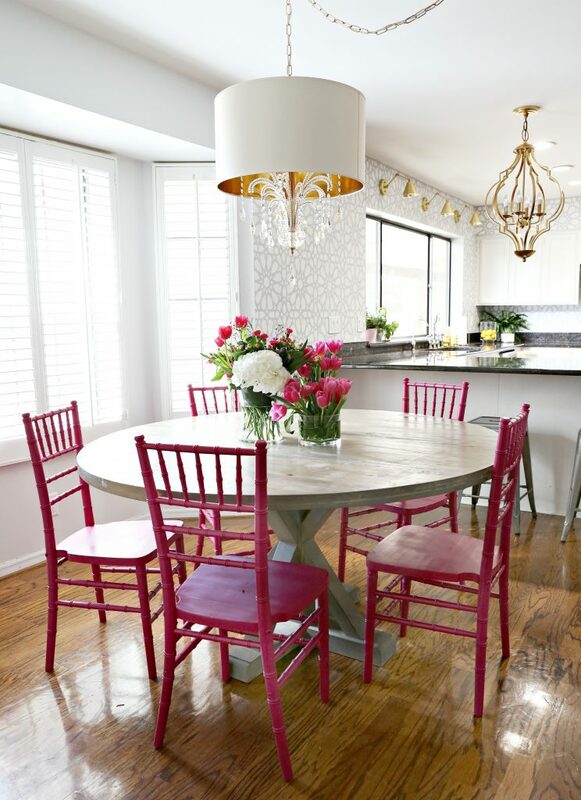 When I was choosing my breakfast nook furniture I want the chairs to feel light and not super heavy. 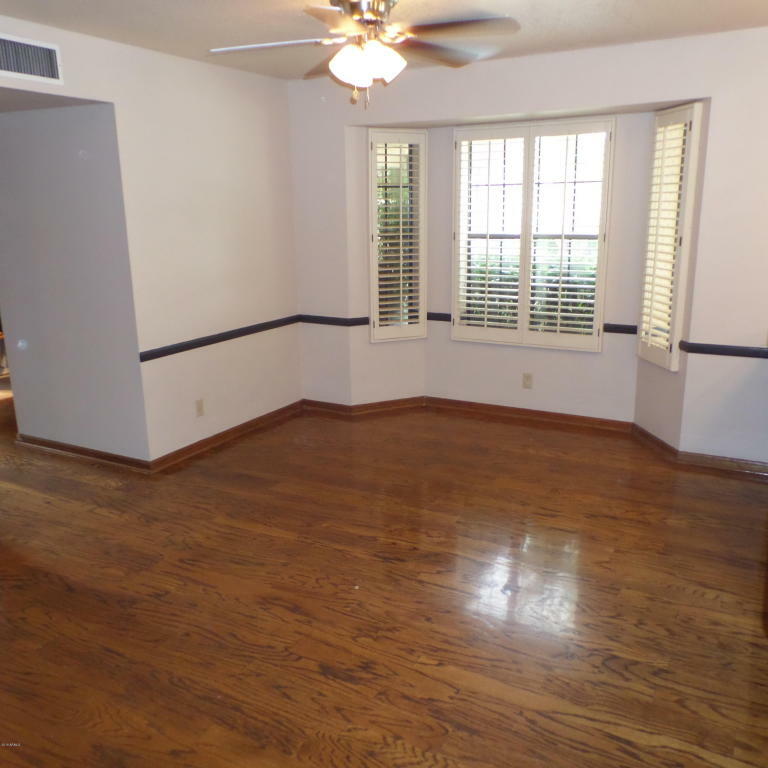 The before picture of the breakfast nook. I was on the search for chairs that you could see through I did not want the chairs to be to heavy looking. I found a set of fives on Craigslist for $50 total. Big score! They were original black and in major need of a pick me up. 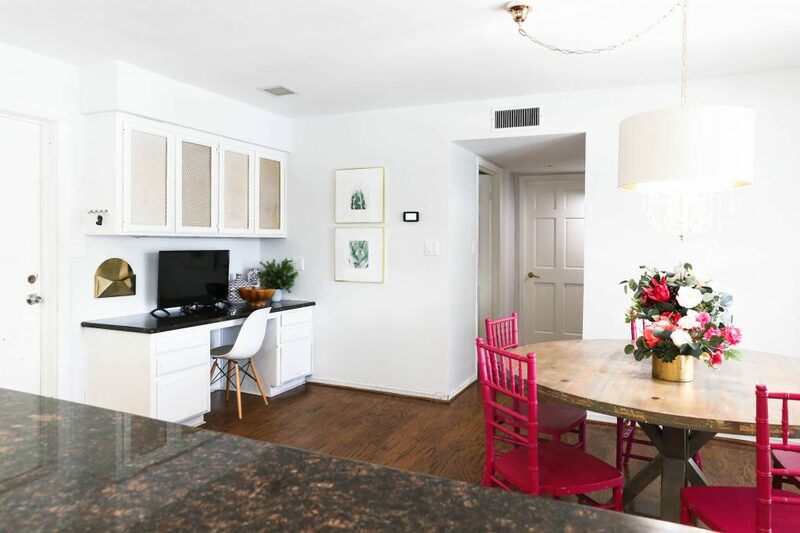 In my breakfast nook I also wanted a pop of color so I decided the chairs since they already needed to be painted they would be the perfect pop of color. 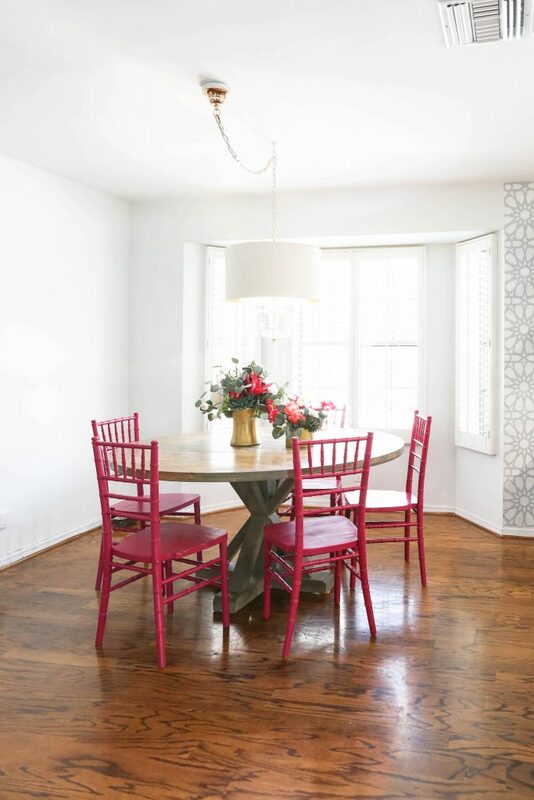 When I was picking out the color of my dining chairs I went with a really fun hot pink color. I spray painted them using this gloss berry spray paint. I have a full how to spray paint furniture post coming very soon and I will tell you all about how to spray paint furniture and repurpose old tired looking pieces. 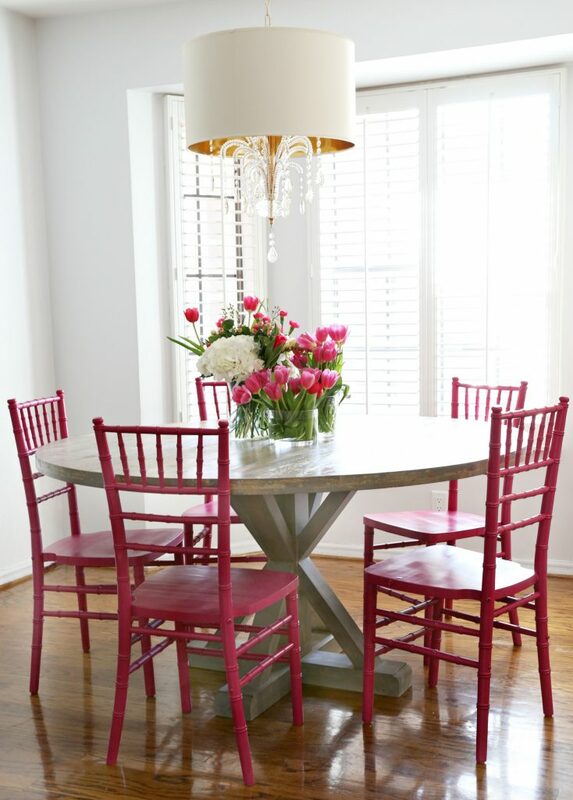 For my breakfast nook table I went with a round pedestal table. I actually bought this table from Mallory when she no longer needed it at her house. 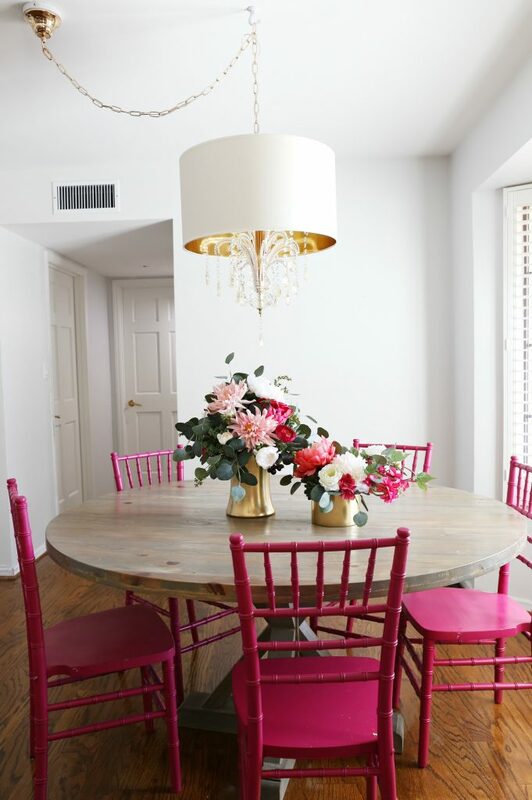 I love this table and she talks all about it in this post MALLORY’S DINING TABLE. Since my breakfast nook is right off the kitchen island with pedants I wanted my lighting to go well with the lighting I already have. 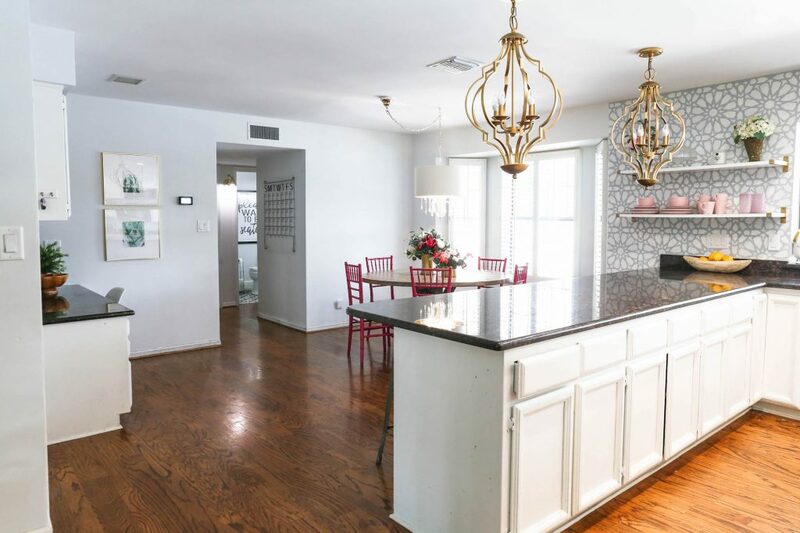 I went with a really pretty shaded chandelier that you can find HERE. 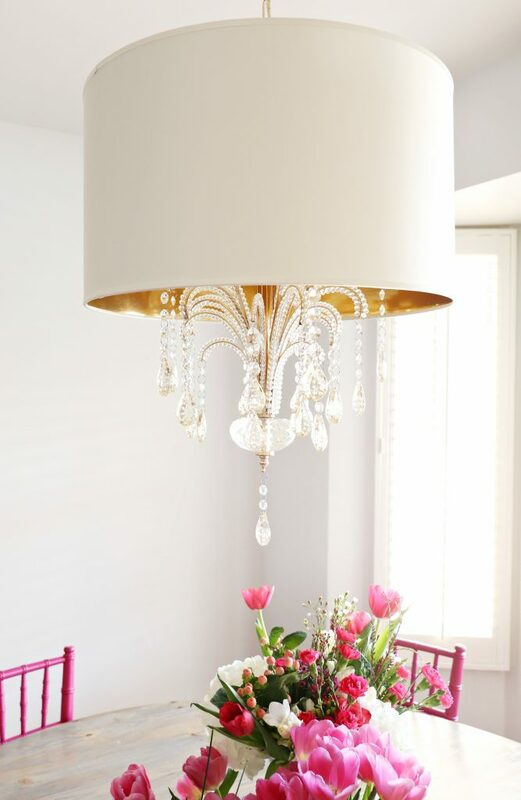 I love that the inside of the shade is good and I love that this chandelier adds a bit of drama to the space. 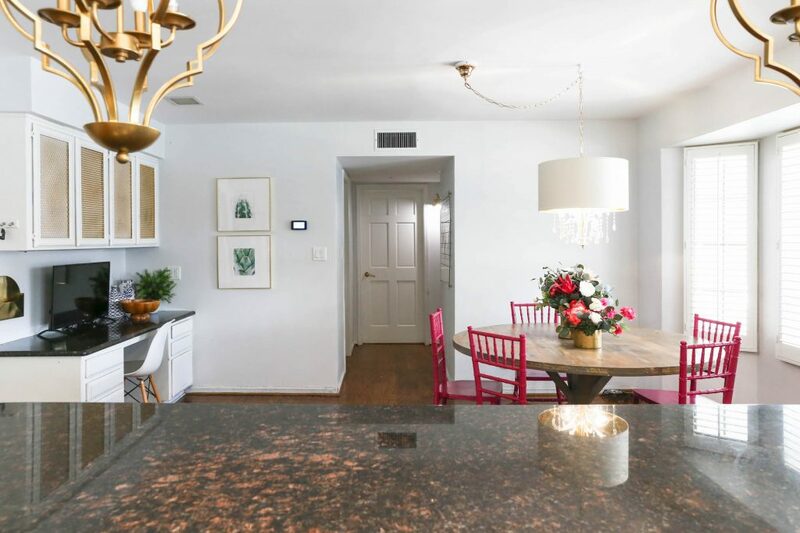 Mallory used the same chandelier in her BATHROOM MAKEOVER HERE. 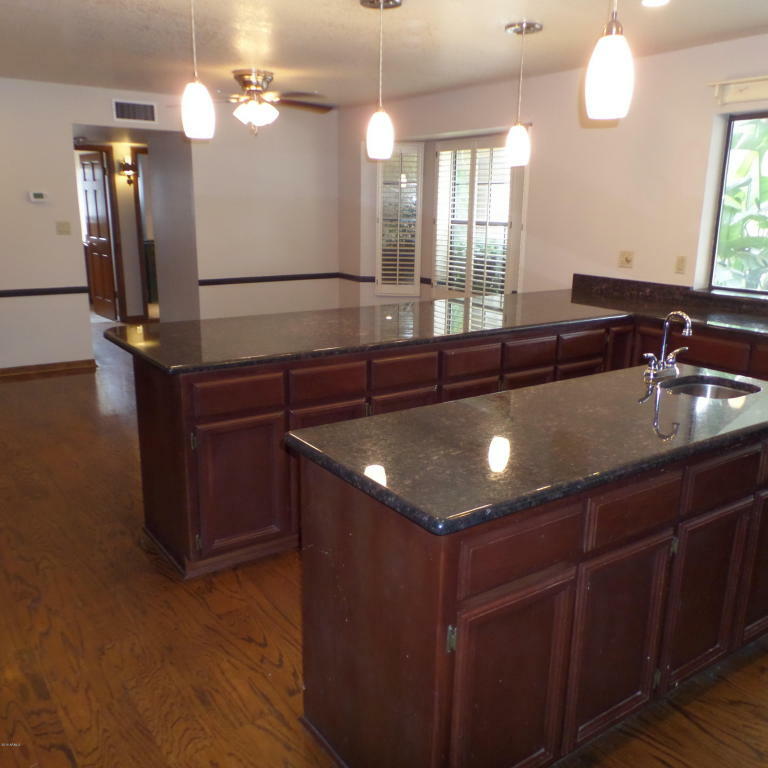 The desk in our kitchen was also cherry wood painted and I painted the cabinets white and then on the cabinets doors on top it had a see through part on the center of the door and I spray painted that gold to match the lighting that was already in the space. 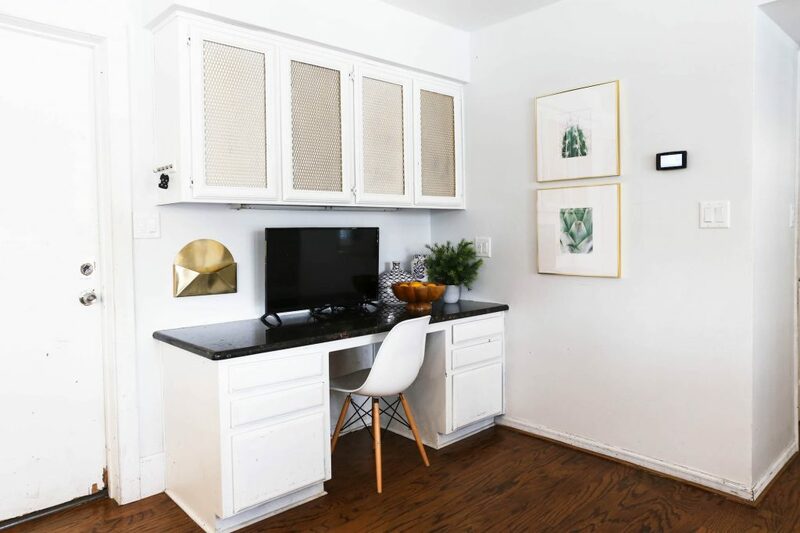 We use this space to catch all the papers at our house and it also has such great storage. 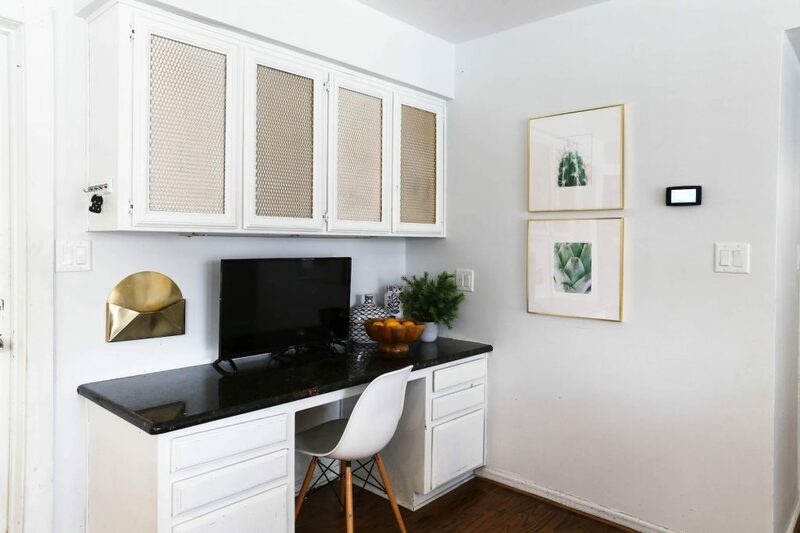 I found some cute downloadable artwork from Etsy and these gold frames from the At Home store and I think it really made this space a cute and cozy space. We have two ac units at our house and we added two of these Emerson Sensi THERMOSTATS. We love them! 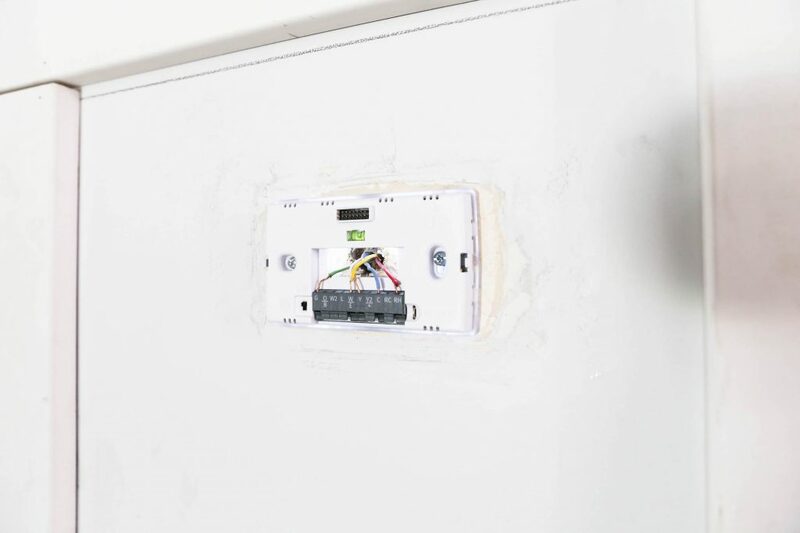 They super easy to install and you actually use your phone to install it. Your phone guides you through all the steps and show you exact what to connect where and it makes install a piece of cake and quick. Everything is all connected and then you add on the cover plate. 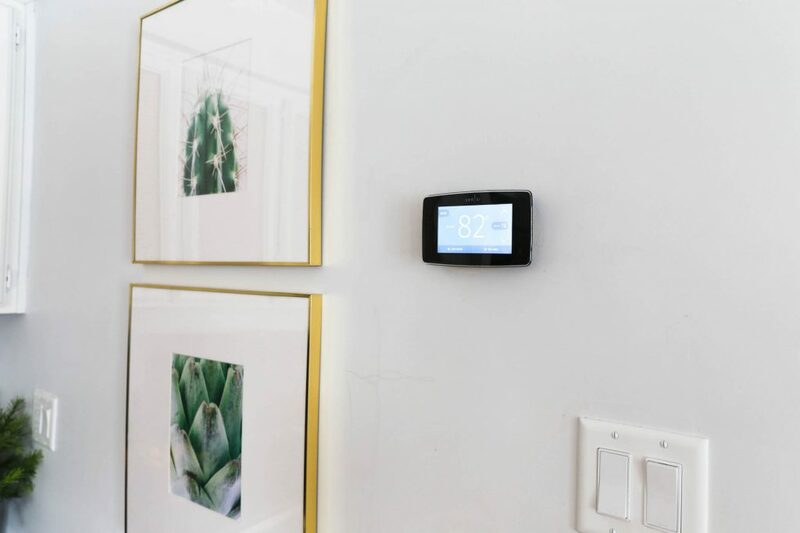 After the cover plate is done using your phone and the Sensi app you set up your thermostat and program everything. 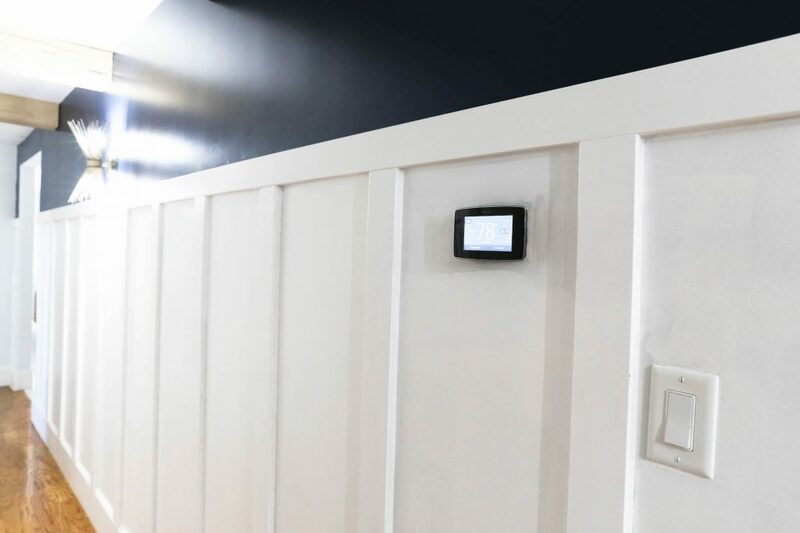 We actually have two different ac units in our house so one of the Emerson Sensi Thermostats is in my hallways which I will be sharing all the details about that space tomorrow. We love that we can control our air from anywhere. We also love that we can set up schedule for our air. My husband especially loves it. When we go on trip it’s so nice because we can adjust the air to help save money when we are away and then adjust it when we are almost home to cool the house down before we get back home. 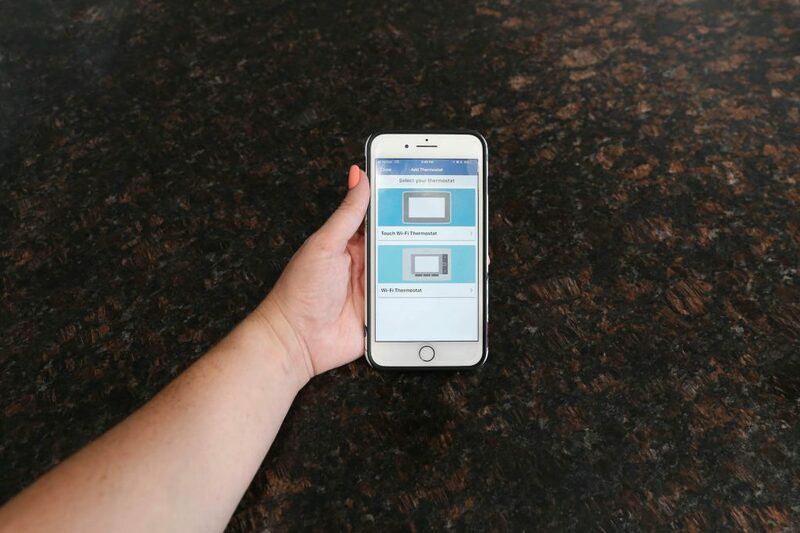 These THERMOSTATS were easy to install and really easy to set up the THERMOSTATS APP on our phone. 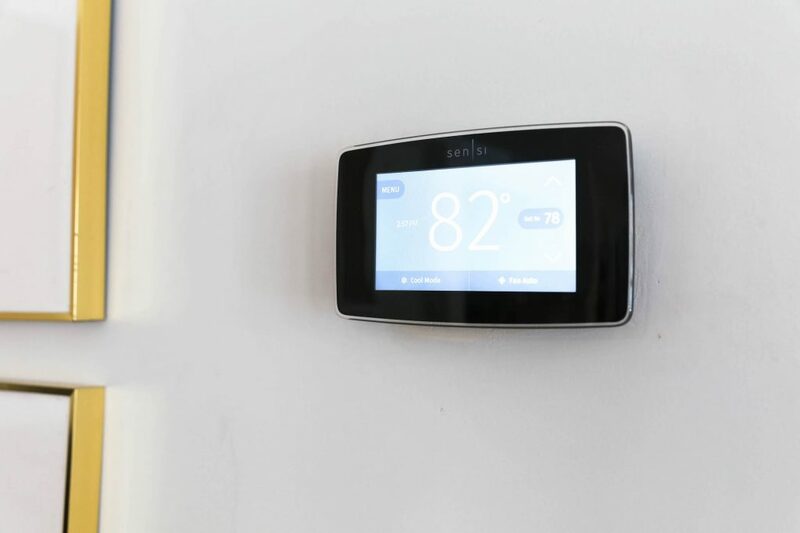 I also love that the THERMOSTATS looks sleek and clean. 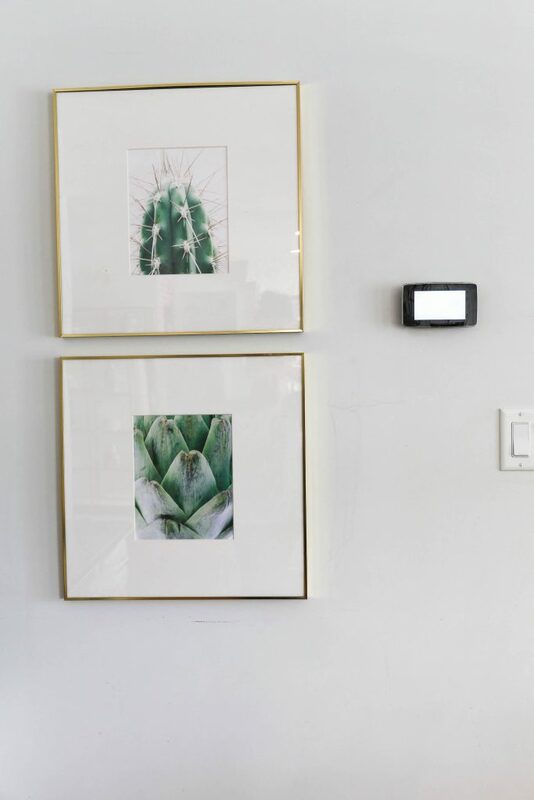 Adding these new thermostats have helped to update my home and have also made my life much easier. With each new smart home device we add the easier our lives get. We are excited to share more smart home tips with you through out this year. Where do you start if you want to make your home a smart home? When it comes to making your home just start. We both started by adding our Schlage locks on our doors. You can see Mallory’s patio where she recently added her Schlage lock HERE. Mallory recently added her new light bulbs and garage door opener which you can see HERE. We both also have the Ring doorbell and I am excited to share all about the Ring doorbell and other Ring products with you guys very soon. Awesome Wallpapers – Cute Wallpaper you need for your home!